« Hulk mediocre-est there is! 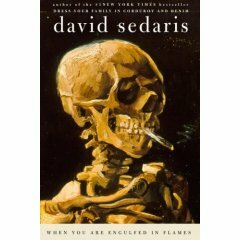 Sedaris breaks no new ground here, and that’s the most damning piece of criticism I could come up with. Aside from the final essay (if you can still call an 83 page piece an essay), any of these entries could have appeared in any of his other books. And when I think about it, parts of the book’s last essay, covering his efforts to quit smoking while living in Japan, would’ve been right at home in Me Talk Pretty One Day. Once again, readers are provided with stories about his family, about the trials and tribulations of living in a different country, about his relationship with his longtime boyfriend, and about his too-many-to-count neuroses. Gone are the stories of his early adulthood and drug use, only to be replaced by more adult concerns like buying gifts for others, traveling, and art collecting. I’m most assuredly making this sound boring and tedious, but nothing could be further from the truth. Granted I’m a fan of the man’s work and therefore I’m hardly the most objective critic, but this book was worth every penny of the $14.29 I paid Amazon for it. The author has a gift for finding humor and insight in the mundane, and that talent is on full display here. He also has a knack for turning clever phrases in unexpected ways. I was constantly surprised by how much I was laughing while I read (especially as I tore through that final essay), and that’s a delightful thing to be able to say. Few established authors these days retain the ability to surprise their readers, and this made the experience of reading When You Are Engulfed in Flames that much more gratifying. Most importantly, I had fun while I read this book. 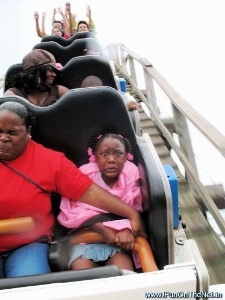 Yes, fun; the noun most often associated with amusement parks, video games, and drinking one’s self into a coma. Like the school boy who waits an hour to ride the roller coaster only to have the ride last less than 30 seconds, I didn’t want the experience of reading to end and was genuinely disappointed when it did. I know that a lot of the essays in the book were printed elsewhere, but I don’t care. I’m not a pretentious twit and therefore don’t read The New Yorker or The New York Times or anything else associated with New York and therefore had never read these essays. Nor am I a haughty NPR listener, so I hadn’t heard him read anything on the air. I was free to enjoy this material as though it were new, because to me it was. This isn’t Sedaris’ best book, but it doesn’t need to be to remain an enjoyable read. To prove it, here’s a selection culled from a longer essay. Buen provecho. This entry was posted on June 18, 2008 at 4:04 pm and is filed under Uncategorized. You can follow any responses to this entry through the RSS 2.0 feed. You can leave a response, or trackback from your own site. Perhaps this would be a good Sedaris book to start with. I haven’t read anything by him, although we’ve heard him on the radio a few times. I think he’s quite funny but sometimes – a little bit goes a long way. Would you recommend one of his other books or this one to a Sedaris Virgin? I started with with Me Talk Pretty One Day and then worked my way through his catalogue. Since I’ve enjoyed all of his books and not regretted the decision to start there, that’s what I’d recommend. Me Talk Pretty One Day is widely considered his best collection and “The Santaland Diaries” his best single essay, so you really can’t go wrong with either. I would second Me Talk Pretty One Day. But I haven’t read anything that I didn’t enjoy at least a bit. I also got the chance to see him speak (which consisted his reading new and old pieces) last Fall and I would strongly suggest you do the same if you get the chance. That helps a lot. I’d actually like to listen to it if Mr. Sedaris was narrating.